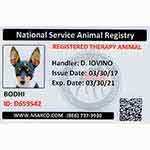 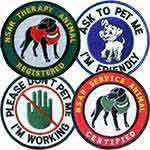 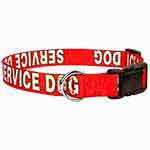 Safety, comfort, durability, and IDENTIFICATION are the top priorities of NSAR, and that's why we offer our USA-made, 6-foot red therapy animal leash with white sublimated lettering. 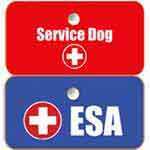 Order with confidence because NSAR provides you with a 30-day No-Risk money back guarantee - PLUS all of our leashes are backed by a lifetime guarantee against defects. 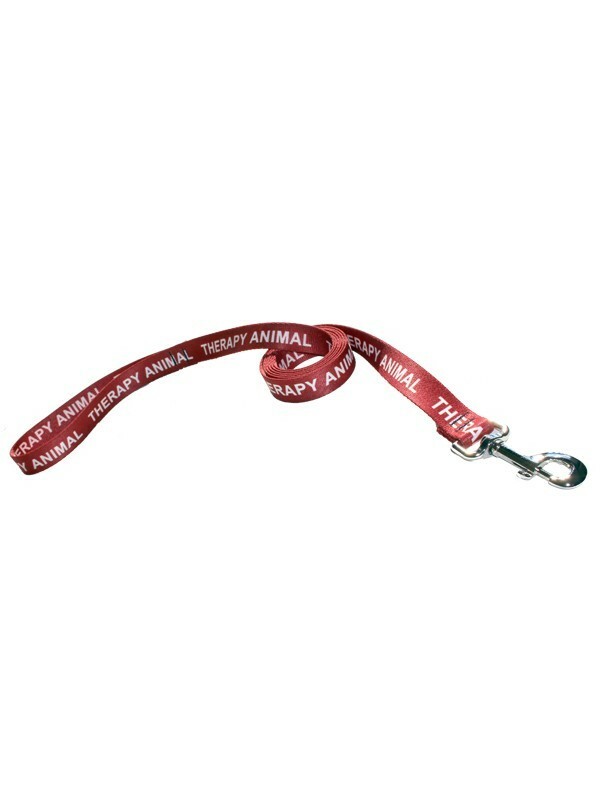 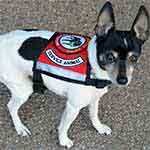 Legitimize the look of your therapy animal when bringing comfort to patients in nursing homes, hospitals, and disaster areas with an official, American-made 6-foot red therapy animal leash. 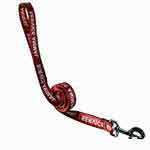 This leash is backed by a lifetime guarantee against defects.